What makes for a Great Photograph? Is it great technique? A unique perspective? Creative use of materials? A clever staging? How about crystallizing a significant moment in documentary photography? What makes a great photograph is becoming more and more difficult to discern in an era when a majority of the population has an above average shooter in their pocket at all times. Geoff Dyer, however, looked into the past recently in a great essay for New York Times Magazine. 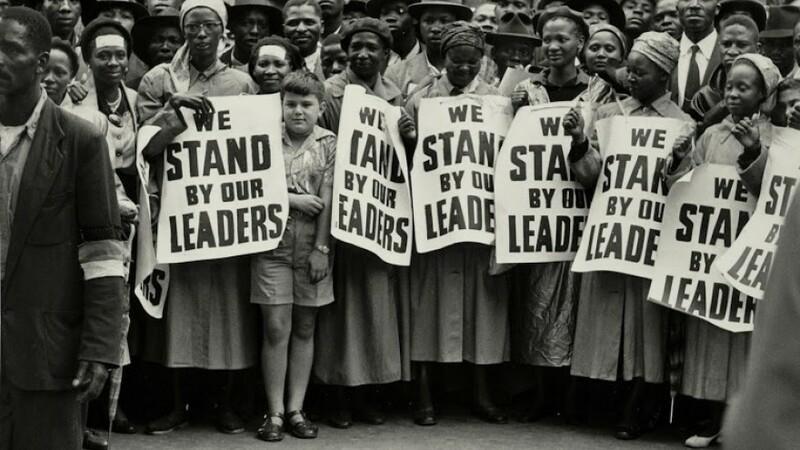 He’s searching for the significance found within historic photographs and a key time: the Civil Rights movement and Apartheid. It’s well worth the time to read. “There is nothing as mysterious as a fact clearly described.” The fact that versions of this observation have been attributed to two very different street photographers, Garry Winogrand and Lisette Model, underlines its wisdom and its mystery. It helps explain why attempts to stage photographs – to create fictions – only rarely work as powerfully as the kind of quotations from reality that we get in documentary photographs. Larry Sultan once said he “always thought of a great photograph as if some creature walked into my room; it’s like, how did you get here?… The more you try to control the world, the less magic you get.” Winogrand had no objection to staging things; it was just that he could never come up with anything as interesting as what was out there in the streets. But when does the staging start?